Dropbox, one of the popular storage services has silently updated its terms of service to limit free or basic accounts to link maximum three devices, including PC or mobile apps. 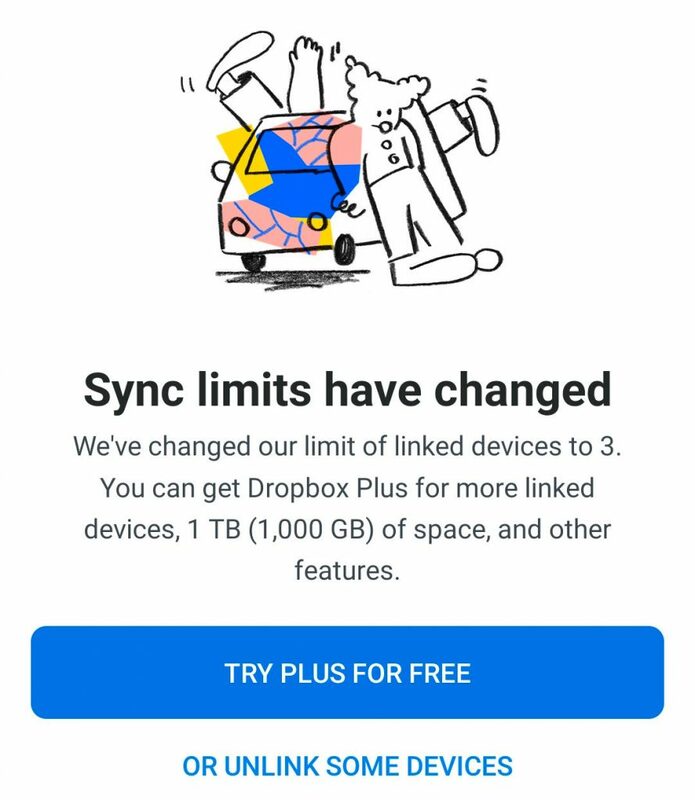 Before the change it was unlimited, but starting March 2019, only the Plus and Professional users will be allowed to link unlimited devices to their account. Dropbox says that the restriction applies for all the new devices you login starting this month, so your previously linked devices will remain linked, but you can’t add new accounts unless you remove old ones. When you download the Dropbox application (mobile app or desktop application) on your device and log in, that device is linked to your account. If you’ve reached your device limit, you can change which three devices are linked to your account. To do so, unlink devices you don’t want on your account (down to less than three), and then link the devices that you do want. Click your profile picture (or grey circle) in the upper right corner. Your linked devices are listed under Devices. Click the X next to the device you’d like to unlink.